Gourmet food has traditionally been presented in decadent or excessive packaging in order to convey its quality. However such extravagance is not always necessary, and we've highlighted minimalist style graphics and packaging that serve as a counter point to the decadence that many associate with luxury. Inhouse design studio describes this method as "letting the packaging 'speak' to the customer". 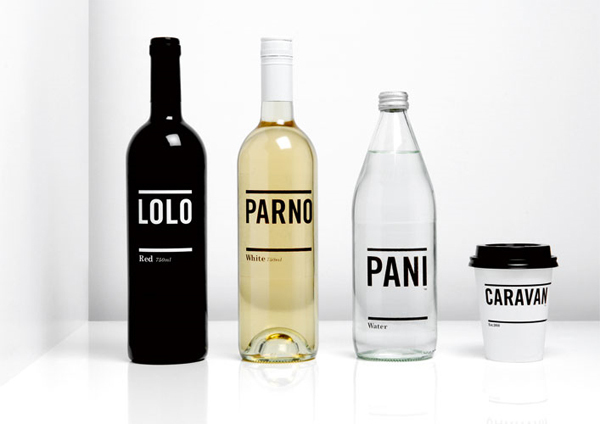 They used this technique on a series of containers for London roastery, bar and restaurant Caravan, which placed emphasis on type by using words from the Romany language. For HBL subscribers, see the full report here. Earlier this month WGSN-homebuildlife spotted the work of glass and ceramics student Maham Anjum at the Royal College of Art's work in progress show in London. Maham's work aims to investigate and understand the present attitudes towards the artisan craft potteries in the Indian subcontinent, some of which are in decline. By developing existing ceramic processes, improving the materials and decorating processes, Maham’s work aims to sensitively redesign the products to create new market opportunities. 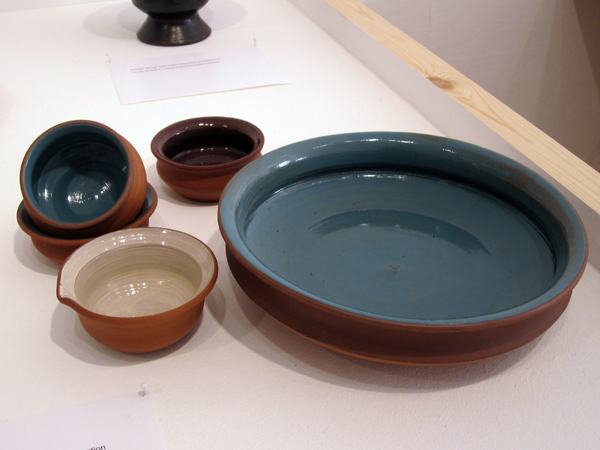 Maham has researched traditional craft techniques in Ethiopia and Southeast Asia, as well as Sri Lanka where she has produced the Rukmale range of serveware for the Jamie Oliver Collection. The collection, shown above, is made by a group of women potters, providing them with the opportunity to evolve their ancient potting skills while helping sustain the local community. Subscribers can see WGSN-homebuildlife's full report on the RCA Student Work in Progress Show online here. The office and showroom of Japanese stationery company Haguruma Envelope Co Ltd is featured this month on WGSN-homebuildlife's report on inspirational office interiors. Haguruma are specialist manufacturers of premium stationery made from materials such as cotton paper, washi paper and rice paper. The interior designers, Design Room 702, worked with the concept of creating a 'paper museum' to reflect the company's strong product value. 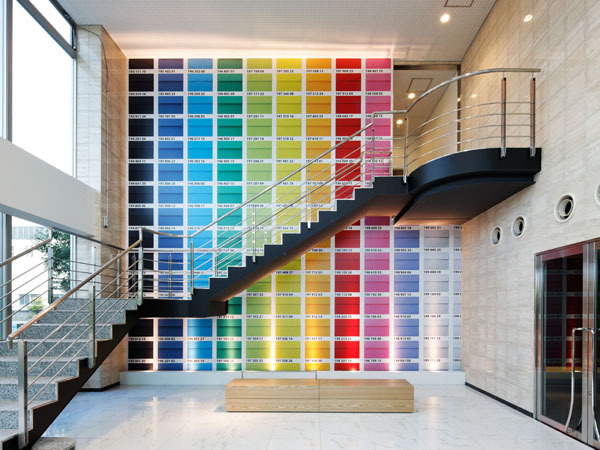 In the entrance lobby, shown above, a striking focus wall is clad from floor to ceiling with envelopes in a selection of the company’s original colour palette. WGSN-homebuidlife subscribers can see the full report here. 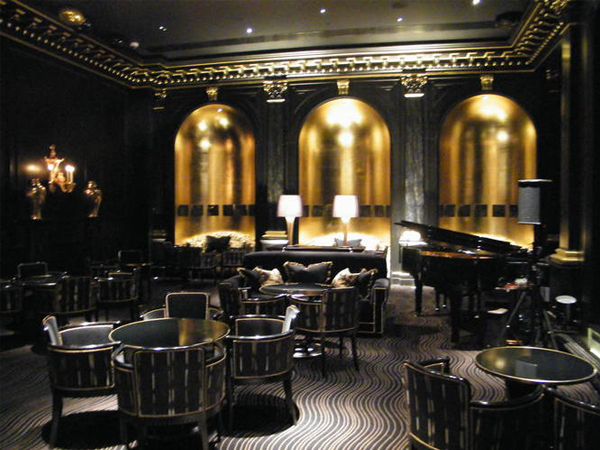 For the first in a series of reports focussing on interiors analysis for the contract sector, WGSN-homebuildlife visited The Savoy, recently reopened following a three-year refurbishment project which cost over £100 million. Interior designer Pierre-Yves Rochon was charged with revitalising the classic London hotel, built in 1889; an undertaking described as "the most ambitious hotel restoration in British history". Subscribers can see the full report here. Berlin's world-famous Christmas markets provide inspiration for WGSN-homebuildlife subscribers this week. 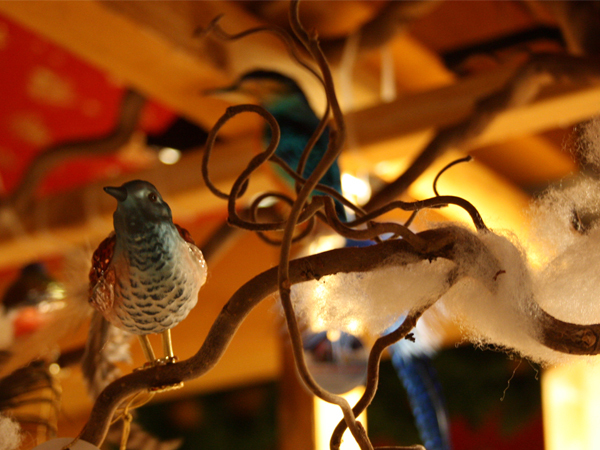 Amongst the traditional German themes on offer, including handcrafted wooden toys and delicate metal trinkets, an array of colourful bird decorations also feature: from bright yellow chaffinches and glittered robins to distinctly untraditional hot pink flamingoes. Click here to read the full report. 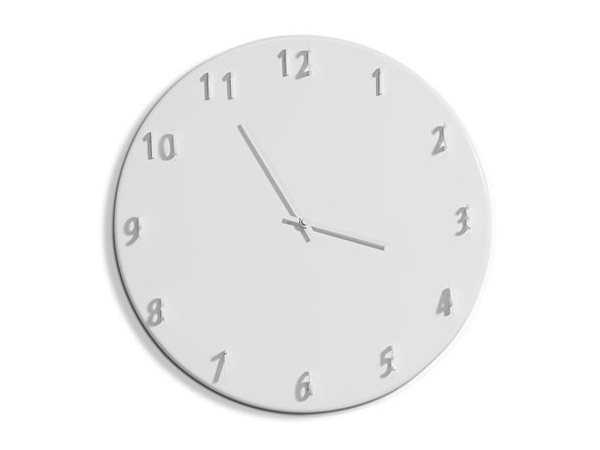 Swedish designers Front have designed a clock for Italian brand Porro on which the hours are cast by shadows. Each of the twelve numbers is fixed perpendicularly to the face, and can be read straight-on if lit from the right. 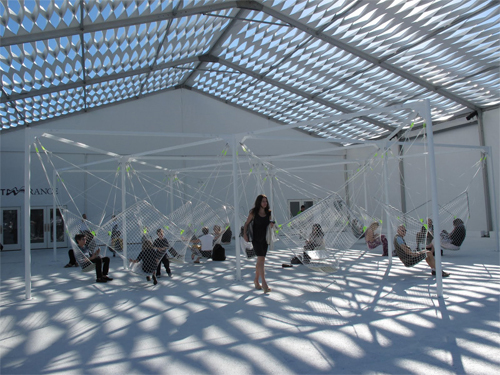 This year, Design Miami relocated and set up the tents on the parking lot opposite the Convention Center which houses the main Art Basel show. The show, which used to be in the Design District, was smaller than usual with only 15 exhibitors. 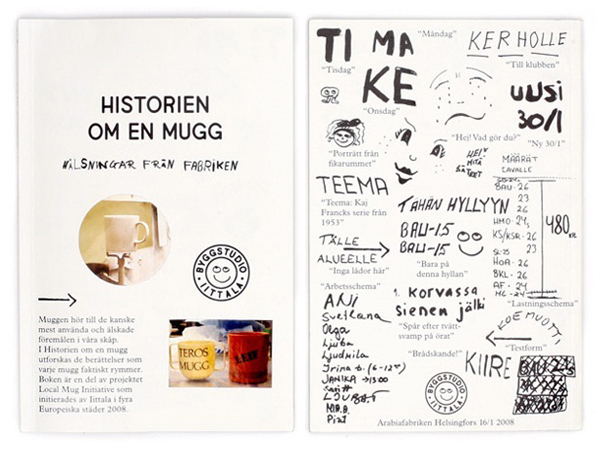 Everyday Life Books, the publishing arm of design and lifestyle magazine Apartamento, have teamed up with Italian design brand Iittala to launch Historien om en mugg (The story of a mug), a book by Byggstudio which charts the history of the everyday domestic mug. 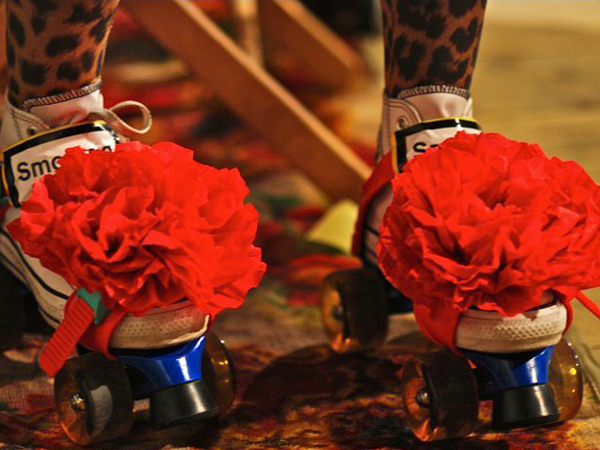 WGSN-homebuildlife's Milan correspondent Farah Pallaro has sent us images of a new Milanese vintage fair, described as a mix between a flea market, a bazaar and a circus. Held in a different venue each weekend, the Circo della Pulci features art, music, fashion, clowns, dancers and even a Tarot reader. 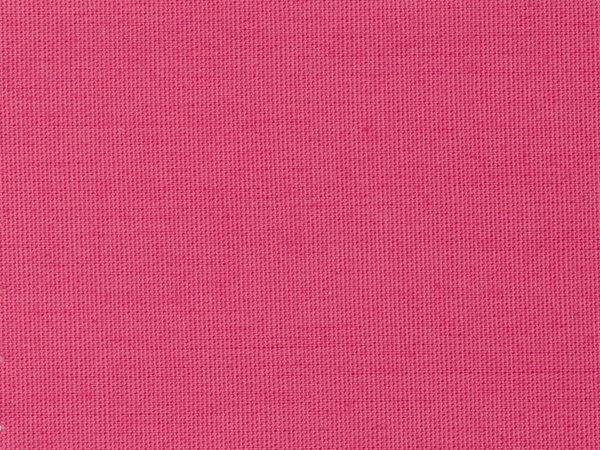 Global colour authority Pantone has announced that Honeysuckle will be its Colour of the Year for 2011. 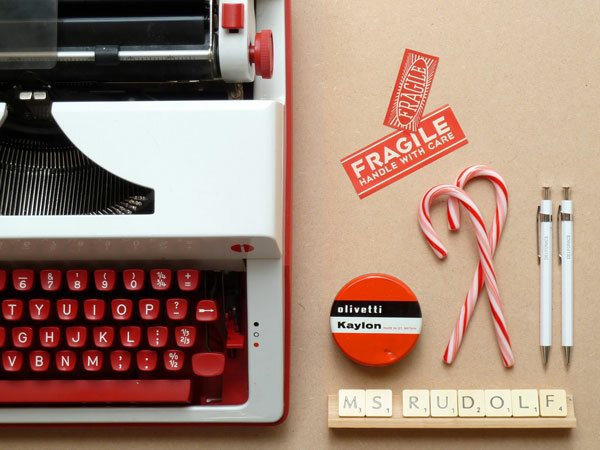 Following on from 2010's titleholder Turquoise, Honeysuckle's vibrant reddish pink tone is intended to energise, invigorate and prepare us for everyday trials. 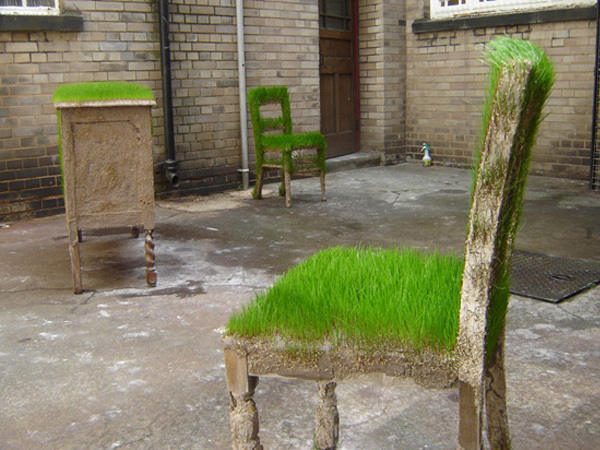 Materials expert Chris Lefteri has turned his attention to the most innovative new composite materials in his latest report for WGSN-homebuildlife, including this living garden furniture. WGSN-homebuildlife this week paid a visit to the annual Christmas exhibition at London's Geffrye Museum, which tracks Britain's changing interior tastes from the 17th century to the 1990s via a succession of room sets, each one fitted out in the seasonal decor of its time. 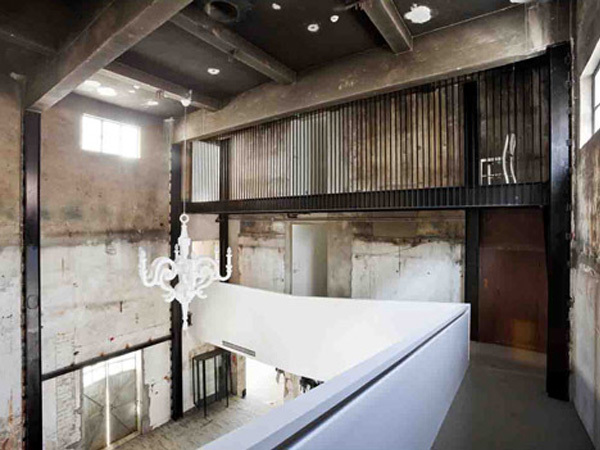 The Waterhouse at South Bund, a former Japanese army headquarters turned into a hotel by Shanghai-based designers Neri and Hu Design and Research Office (NHDRO), is one of the three first prize winners of this year's Emerging Architecture Awards, organised by Architectural Review. 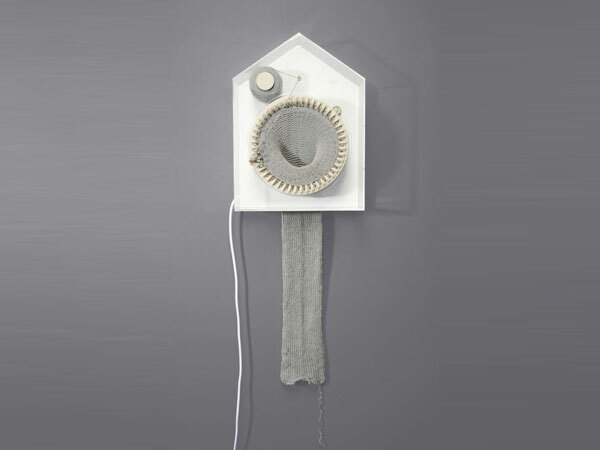 In August earlier this year, Norwegian designer Siren Elise Wilhelmsen won the Time to Design Award award with her project, Developing Time – Time Developing, which is both a clock and a knitting machine. Siren is currently exhibiting a whole family of knitting clocks at the Normann Copenhagen store in Denmark. The clocks have been created at the Danish Art Workshops and will be on show for two weeks. See more images below the jump.